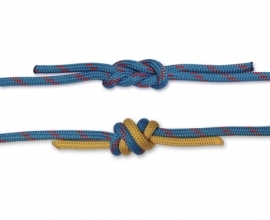 The Englishman’s Loop (also known as the Fisherman’s Eye) is a fixed loop made with two varieties of the Overhand Knot and is essentially a looped version of the Fisherman’s Knot. 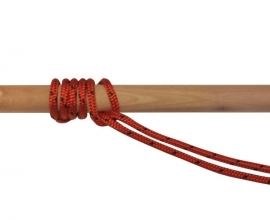 This quick and easy to tie loop can be tied in any rope, but is most commonly used for fishing purposes. When using it in sailing lines, beware it could jam or slip. 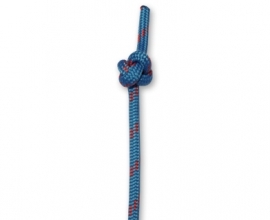 1.Tie a Slipped Overhand Knot near the end of a rope, but leave enough tail for a second knot. 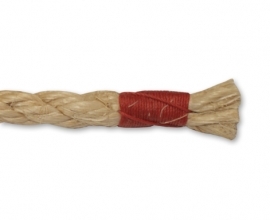 2.With the working end, tie an Overhand Knot around the standing end. 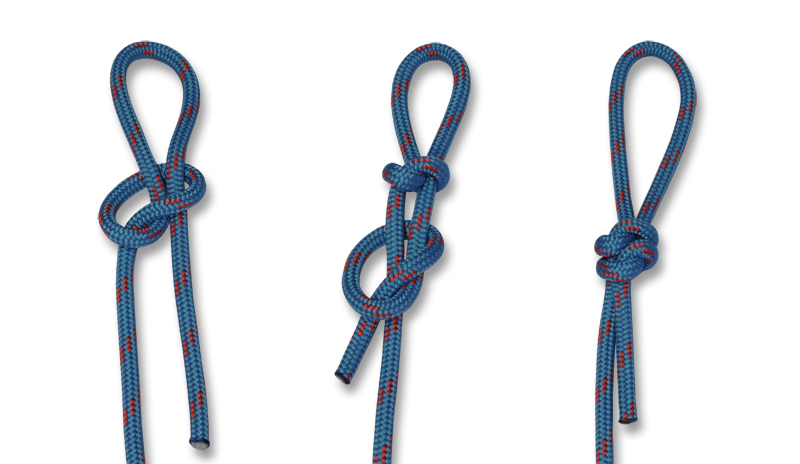 3.Dress both knots and pull them together by pulling the loop and standing end away from each other.